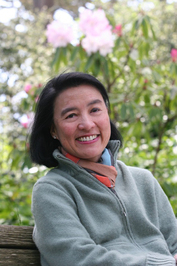 Born to a Chinese mother and a Japanese father in San Francisco, Gail Tsukiyama now lives in El Cerrito, California. Her novels include Women of the Silk (1991), The Samurai's Garden (1995), Night of Many Dreams (1998), The Language of Threads (1999), Dreaming Water (2002), and The Street of a Thousand Blossoms (2007). Which book set in Asia & the Pacific would you like to read for the August/September group read? Is this you? Let us know. If not, help out and invite Gail to Goodreads.